Santa Barbara native DJ Joseph “DJ Flamezz” Gutierrez is known for his eclectic and energetic DJ style - fusing almost every known music genre to satisfy even the toughest of critics and effortlessly fill a dance floor. His passion for music is evident in his vast library, which includes everything from Hip-Hop, mash-ups, Old School, Electro, Latin, Rock en Espanol, Classic Dance, to good ol' Top 40 hits. His infectious energy and personality will captivate any audience - making him one of the Central Coast most sought after performer. DJ Flamezz has spinned at the best clubs in Ventura and Santa Barbara County including Madisons, Karma Lounge, Pangeas Nightclub, Café Fiori, The Whales Tail, Jaspers, and is a weekly resident DJ at Blush Lounge in Downtown Santa Barbara. On Holiday weekends, Central Coast's FM 95.7 “The Beat” features his amazing mixes and mashups. 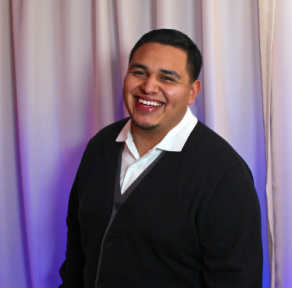 DJ Flamezz has also been a host and DJ for private events, weddings, quinceneras and corporate events. Giving back to the community and supporting charitable causes in Santa Barbara County is very important to DJ Flamezz. He continuously supports local youth and non profit organizations where has worked closely with local junior high schools, The Boys and Girls Club of Santa Barbara, and Everybody Dance Now.